Our office is located in Northwest Houston, just off the North 610 loop. We are a few blocks from the historical Heights area of Houston. Exit at Ella Blvd off of North Loop 610. We are in the Professional Office Building 2 behind Memorial Hermann Northwest Hospital. The entrance to the parking garage is on W. 26th Street. 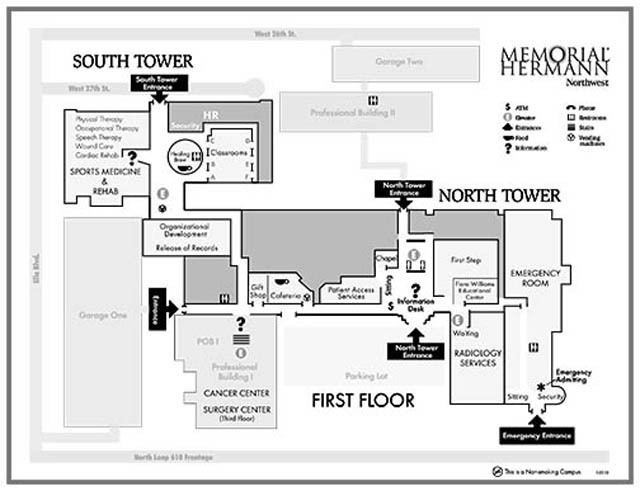 A street map and a directory of the hospital campus are provided for your convenience.